I swear this was the fastest shopping I've ever done. Between Posh on Main and La Ree, it took me just 45 minutes total to do all that damage. I guess it's all that running I've been doing. Everything I bought was 85-95% off so nothing more than $50. 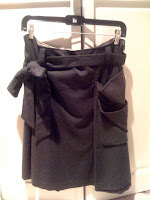 Including this Les Chemins Blancs wool skirt with side pocket. 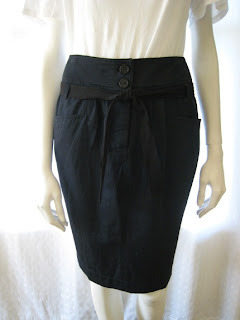 I normally prefer wearing shorter skirts but I really like the casual ease of this skirt. It's so comfortable. I think I'll wear it with flats and a hoodie. Anyway, I had to have this Alexander Wang knit tunic. It's a bit on the sheer side, but I have an American Apparel racer back tunic that fits perfectly underneath. Aside from that, I have no idea how I'm going to wear it. Ideas? My closet is so overloaded right now, I can't see/think straight! I'd been eyeing this floral Christopher Deane dress for a looooong time. Even when it went down to 60% off, I didn't want to plunk down the dolla-dolla-bills-y'all. But at 90% off, it was calling my name! I like to think that it was meant to be! I love the square neckline and the flutter sleeves actually make me look feminine and less errr... broad. 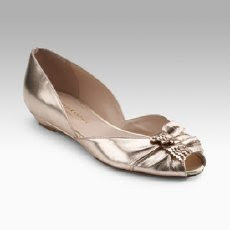 I tried it on at home with my new Pedro Garcia flats, you know, for that whole pop-of-color thing that everyone and their mom keeps insisting is a must-do. They were right! It's tres romantique. 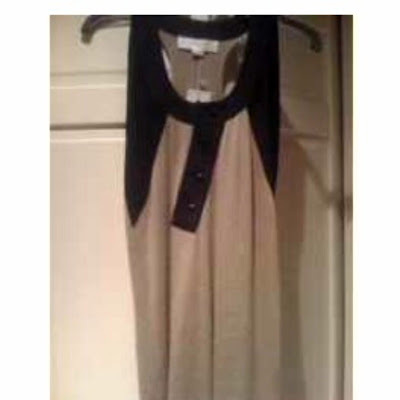 Lastly, I grabbed this Jenni Kayne top. Can you guess why? They're my, I mean our, wedding colors! Yay! Is that lame? I got it for $25. I went a little crazy.. Okay. Not just a little. A lot. A lot a lot. 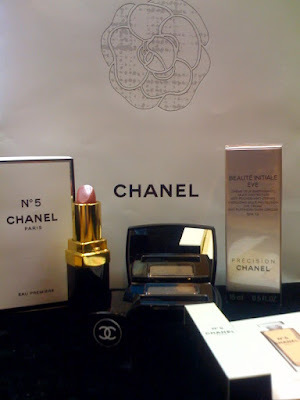 When I arrived at HB's house after my frenzy, his eyes nearly popped out of their sockets when he opened the door to see my arms full of shopping bags. It was the Duet Spring Warehouse Sale between two of my favorite neighborhood boutiques - Posh on Main and La Ree. I stood in line in the rain for this sale. And it was soooo worth it. 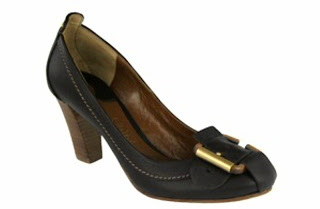 They'll be perfect for my trip to San Francisco in a couple weeks. 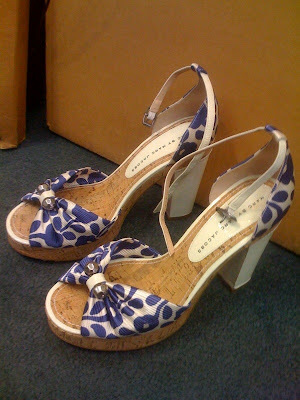 Next I have these delicious Marc by Marc Jacobs. So these aren't necessarily my style but I saw them from the window and knew I had to have them. I had to have them even more after some Russian lady snatched 'em from behind when I was trying to squeeze through the crowds. I kept my hawk eyes on her while I continued hording shoes to try on. All was nearly lost when I overheard her saying that she really liked them. But minutes later, I saw her without them in her arms. And finally my splurge. Chloe. So thankful we three wear different sizes! No fighting. La Ree is next... Stay tuned! Oh goodie. It's not me. It really was the miserableness of last week's run that held me down. Don't get me wrong. It still rained this time, but it wasn't snowing and I didn't need to wear fleece! I completed another 5K run (part of the Mercer Island Half Marathon) this past weekend and am quite satisfied with my time. Still not as good as I want to be, but getting there! 11:07 minute miles and I finish 30 seconds faster than the 5K I did last month. And I guess it feels so nice to come in at 115th place in overall women's. Hahaha! Thankfully that's out of nearly 250! I'm better than more than half. Yay! 17th place in my age group. Another thing for me to work towards. Dang, when I put it that way, it sounds kinda lame. Thank you guys for all your support! It really means a lot to me and I appreciate all the motivation! I must be reading your blog too much because now I'm starting to find my own bargains. There was this sweet jacket that I found over the xmas holiday but I refuse to buy full price. Anyways, it's on 50% clearance right now AND I got a coupon for an add'l 40% off too. I just hope that jacket is still there tomorrow when the coupon is finally active. Haha. You're like the yoda of bargain searching. Golly, gee whiz! *blush* Glad I could help! Clearly I'm having trouble accepting the loss of a luxury item and have thus made maddening decisions in an attempt to relieve some of my grief. Retail therapy at its finest, or worst. 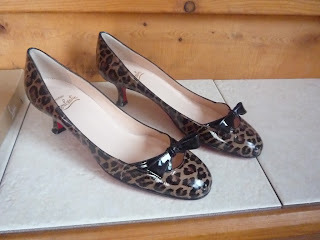 My first pair of Christian Louboutin kitten heels - Miss Bunny. I vaguely remember how it happened. I was that despondent. No really. I was. Next thing you know, I had the winning bid on eBay. They are cute though, aren't they? I'm not much of an animal print girl, but Diabolina swears there is one in all of us and I'm starting to believe her. This was one of those pieces that I wanted to keep forever and pass it on to my future fashionista daughter so she would be the envy of all her friends. And now all I'm left with is devastation. 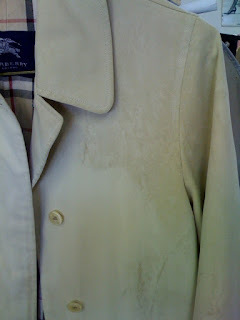 My dry cleaner destroyed my love, my darling, my Burberry over coat. The cleaner is sending it back to Burberry for inspection. I'm not really sure what that's supposed to accomplish. I really wasn't listening. 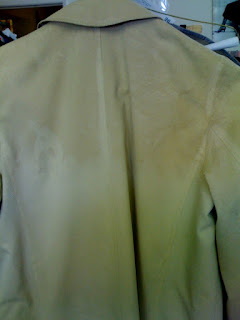 I couldn't focus on anything but the horrible stains left on my once beautiful coat. I didn't scream or yell. I was surprisingly calm when she broke the news. She too was devastated - said something about taking care of it... I don't know. I don't care. I hadn't worn it for a couple years. For me, it had to be special. It had to be the star. I saved it for occassions that needed that je ne said quoi. All I have left are the memories. I can still remember the exhilaration I felt when the salesgirl zipped the navy blue garment bag and handed it to me. My first. I was in Las Vegas at the Venetian. It was on sale and I was blissfully in love. The St. Patrick's Day Dash was m-i-s-e-r-a-b-l-e! 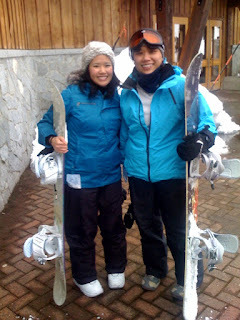 Not only was I sore from too much pilates, yoga and snowboarding, but it was snowing! Hello?! Did you read my title? Ides of March? Not Ides of December. Seriously, ridic. Thank goodness I still had my fleece in the car from the snowboarding trip. I normally only wear a light jacket and a tshirt for running but good grief was it cold! And since I'm already griping, are my thighs really that humongous? How depressing. This was a tough 3.75 miles run for me. Definitely not my best time. I don't even want to talk about it. I'm planning to redeem myself during the 5K run that I'm doing this Sunday. Wish me luck. Only 16 more runs on the schedule through the end of the year! Are you in? Little Mango just celebrated a quarter of a century and she agreed to share a little of her birthday splurge on herself at Last Waltz - the cutest little boutique that sadly closed its doors. It's so sad to see this cute boutique not make it through the recession. I guess it wasn't too much of a surprise when I found out they were closing for good and selling everything - including the furniture. They sold a mixture of stylish vintage and new clothing, but they were located in the Central District next to a place that had pole dancing lessons and not in the good stripper way! And although I lived a mere two blocks away, I'd only been there a handful of times and never actually bought anything until now. 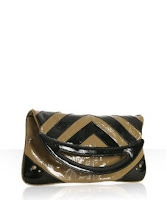 The first item I found was this khaki and black patent leather clutch from Hayden Harnett for $30. 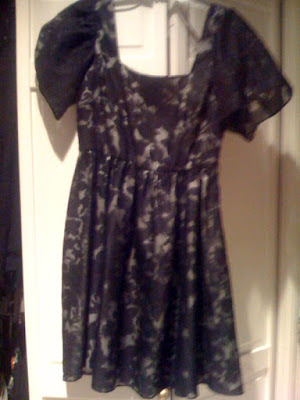 The first dress I tried on was this denim dress by Sublet Clothing for $28. I was really unsure about a full denim dress, but it actually looked really cute on. I had hoped that this neighborhood would pick up and more cute boutiques would open up nearby and kick out the seedy shops, but I guess I never really did my part to help. Lesson of the day: Shop more and shop local! I've had a bit of an addiction to hoodies lately. I don't know what it is. I guess I'm just drawn to their coziness and how easy they are to wear. I need ways to keep warm! Seriously, the weather here is crap. Don't get me wrong, I love winter but IT'S EFFING MARCH!! Anyway, I picked up two during a recent trip to F21, which I manage to wear at least once a week (though I'm kinda annoyed that one of them has already shrank - or is shrunk?) I know, I know.. Tacky. Whatev. So that brings me to my new favorite. I am insane over this Kerrigan pod hoodie that I snagged at the Rack while meaning to only return some what-was-I-thinking shoes. 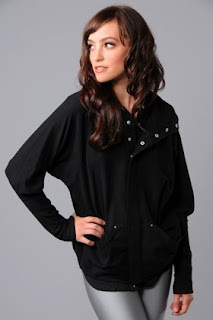 This isn't your regular old Russell hoodie from your bball days - dolman sleeves, a couple studs here and there and buttons that can be snapped all the way up the hood to cover your face, in case you want to hide from the paps. I WANT TO WEAR IT EVERY DAY! Thankfully it had an 'additional 50% off' the lowest price. Yay! On another note, I usually keep my shopping to a minimum when I'm with Hunny Bunny. He just doesn't understand that when I'm shopping I'm a whole other being so if he's with me, I'm usually discreet and fast. This time, there were just too many racks to go through and I ended up with an armload of clothes. When HB saw me, his jaw dropped. After I scraped his chin off the ground, I reassured him that I wasn't going to buy all of it - it's just part of the frenzy! 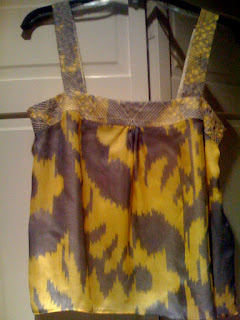 I had to grab any and all m by mj and dvf items that caught me eye, just to try it on. 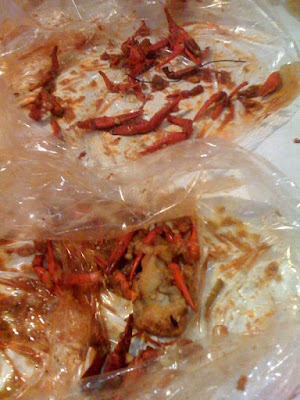 Ever since Crawfish King opened last month, Hunny Bunny has been obsessed with those little mudbugs. He just can't seem to get enough! We started with a mere four pounds (!) of spicy deliciousness.. 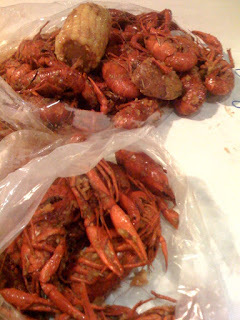 I guess the season for crawfish season just barely started so they're not that big and juicy. But that's okay. We still got our grub on! Can you believe we two hungry monkeys ate it all? This was my second time attending this event. It's bad because I'm always a sucker for makeovers and new products! I may not know what I'm going to do with it, but I'm still gonna buy it. Even the lovelies sitting in front of me turned around to say how jealous they were! Allegedly theoutnet is the outlet site for net-a-porter. Word on the street is that it'll be like gilt, but I'm not 100% positive. They're not open yet, just accepting email addresses. I just signed up! Don't blame me if you go bananas. Have a great weekend my lovelies! Maybe it's the weather.. Maybe it's because *ahem* Martha is in town. Or maybe it's because HB and I had our first wedding planning disagreement and I'm still not over it. I just haven't felt like myself lately. Just blah. Flats and leggings. Boots and leggings.. And god forbid, just wearing my work out clothes. For shame! 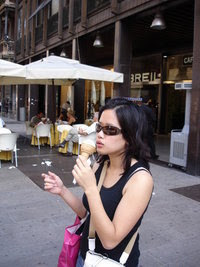 I'm desperately trying to get out of my fashion rut - without breaking the bank. Must be a good little recessionista. Unfortch, shopping in my own closet with fresh eyes is not one of my specialties but Diabolina inspired me as she styled the already delicious Sable Crow with his own wardrobe. And then I came across the Stylish Girl iPhone app. It's like having my own pocket-sized Diabolina! Well, not really, but it's a nice idea. All you have to do is take pictures of everything in your closet and you end up with a delightful little database categorizing everything you already have! Mix and match and save your outfits for future use. There's even a Wish List category! This could be a very good thing. Since I went out an bought all new gear for snowboarding, I had to get in at least one more day on the slopes before the end of the season. Mango makes such a cute little fuzzy bunny. Why am I like the scary Easter bunny at the mall? ?